Construction engineering is basically a discipline that professionally blends engineering with management and business training. 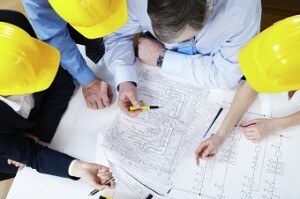 While environmental and civil engineers take charge of a product’s final design, construction engineers are in charge of managing the construction process and site. Small projects, like small house construction, probably don’t need a certified engineer. However, bigger projects require a construction engineer team to analyze environmental influence, monitor sanitation and safety, handle site cleanup and upkeep, and manage materials and personnel flow from and to the site. The discipline’s hybrid nature means people wanting to enter the field must have training in multiple related domains. They must take courses specifically related to construction. Moreover, classes from related domains must be taken. Civil engineering, management classes, software system usage courses are vital to sophisticated engineering designs. Aspirants must also undergo an exam post several years of work experience to graduate as completely certified engineers. Big construction projects significantly impact the environment. Therefore, proper regulations are in place to maximize safety and minimize pollution. Ensuring things are properly regulated is the job of the designated engineering professional.